Sunday, January 3rd and 17th – Confirmation Classes will be the 1st and 3rd Sunday of each month at 11:30 – 12:30. 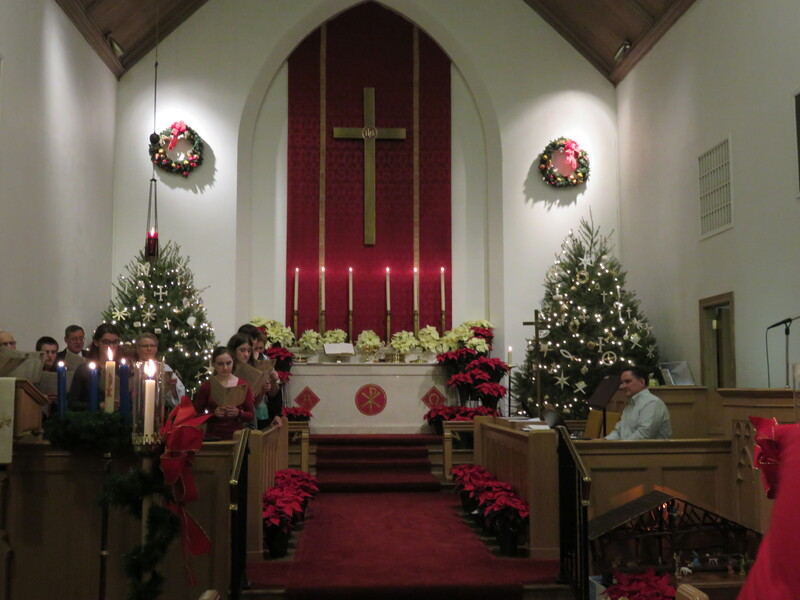 Sunday, January 3, 2015 – We will be un-decorating the church. Please stay after the worship service and help to un-decorate. Monday, January 4, 2016 – The Nursery School will reopen after the Christmas Vacation. Sunday, January 10th – We will have a Congregational Voters Meeting immediately following the worship service. Please stay for this important meeting. Wednesday, January 13, 2016 – Bible Study lead by Pastor Richard will begin at 11:30. We will be studying Dietrich Bonhoeffer’s The Cost of Discipleship. Please feel free to bring a brown bag lunch and a friend. We will meet in the downstairs meeting room. Also on 1/13/16 we will be feeding the homeless. If you are able please come around 9:30 in the morning to help prepare the food and/or come at 6:15 p.m. to help deliver and feed the hungry. 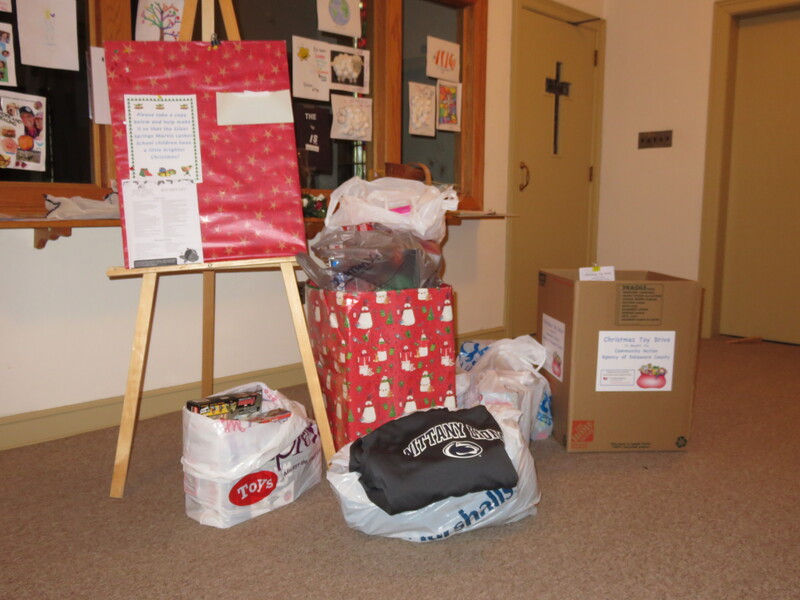 The annual toy drive for the children at Martin Luther Silver Springs School was very successful with over $1,600 in toys collected. Thrivent Financial also helped with fund raising with a contribution of $600 for the school. Grace also donated $250 to the Chester Eastside Ministries which supports homeless families in need.